The congregation at Willow is proudly multicultural and multilingual. To accommodate our diverse attendants, we provide four language interpretation channels (Polish, Korean, Spanish and Chinese) and one English hearing-assisted channel on a regular weekly basis in our Main Auditorium, as well as a portable interpretation station for our Casa Spanish speaking service in the Chapel. 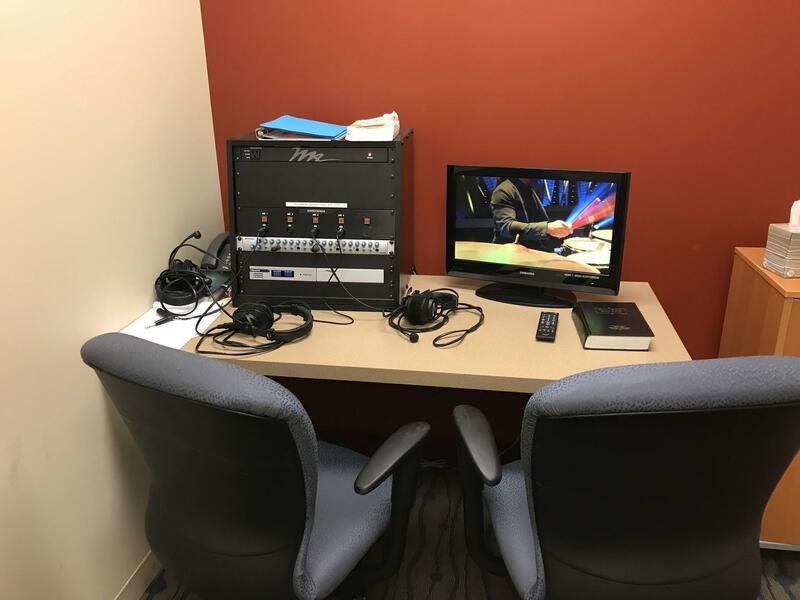 We have four isolated interpretation rooms below our Main Auditorium that have identical standardized equipment allowing our interpretation volunteers to be able to walk into any room and be familiar with the arrangement. The XLR patch panels are routed to the mic in of the Prism 4x4. The button panel relays route to the Prism 4x4 logic inputs which are programmed to unmute the mic channel when the button is engaged. One of the outputs of the Prism 4x4 is sent to an input on the Presonus headphone amp, which allows the users to hear sidetone. Program audio is sent to a separate input on the Presonus, allowing interpreters to adjust the balance between hearing themselves and hearing program audio. 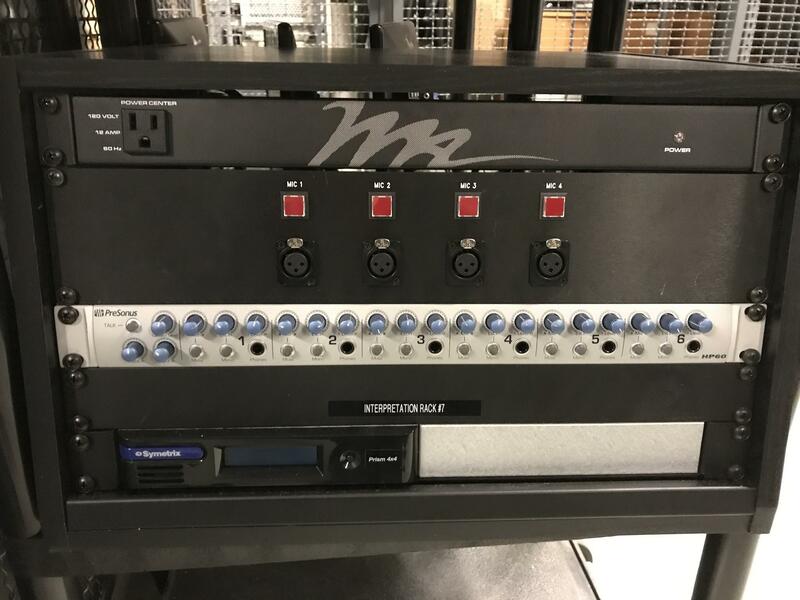 All interpretation room signals are then sent to our main audio/video router, in both analog and Dante signal types, where we then route the language audio to our installed audio transmitters. We have eight installed in the Main Auditorium, two in Lakeside Auditorium, four in the Activity Center, and one in the Chapel. Our primary transmitter is the Williams Sound PPA T45 NET D. Not all transmitters are utilized on a regular weekend in the Main Auditorium, allowing room for spare assignments in case of a transmitter failure, or for when larger events such as the Global Leadership Summit (GLS) need additional language transmission channels. 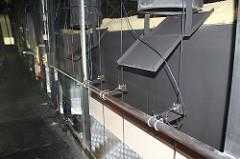 The antennas are installed in the center of our auditorium catwalks, directly above the audience ensuring a solid transmission signal across the room. A few years ago, our team evaluated the cost of replacing the 250+ physical receivers we have on site. The cost of this was astronomical! We investigated a BYOD (bring your own device) solution and after much research and deliberation, we landed on Williams Sound Hearing HotSpot product. We worked with Williams Sound to do a proof-of-concept and they graciously lent us a demo system for our Global Leadership Summit (GLS). This initial system was a Mac Mini with an analog audio interface. The demo went very well and we moved forward with the purchase. The system we have now is still a Mac Mini with Hearing Hotspot software, but we added a Dante Virtual Soundcard (DVS) license to the mac mini so we can keep the signal digital the whole way through the system. In order to use the system, the end user downloads the Hearing HotSpot app from either the App store or the Google Play store. Our IT department has set up a separate SSID (Wifi network) called HearingHotspot, which the end user then logs onto, opens the app and then can choose the language that they want to listen to, plug in their own headphones, and listen without interruption. The backend of the system is a web page where our team can log in, change channel names, upload logos, upload PDFs, or coupons that the end user can engage with. It’s a great system that has a multitude of options. 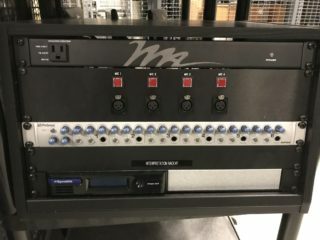 Williams Sound has since done an updated version that is a physical server that lives in a rack and you can purchase it with 8-32 analog inputs or 32 Dante inputs. The product is a subscription-based service with flexible pricing based on the number of server channels utilized and comes with updates and access to online management tools. The user experience has been great and the cost is significantly cheaper than replacing all of our physical receivers and the end user can use their personal device and headphones.